This is my last piece in my Fantastic Four Collection. It is a glass tile and stained glass mosaic. 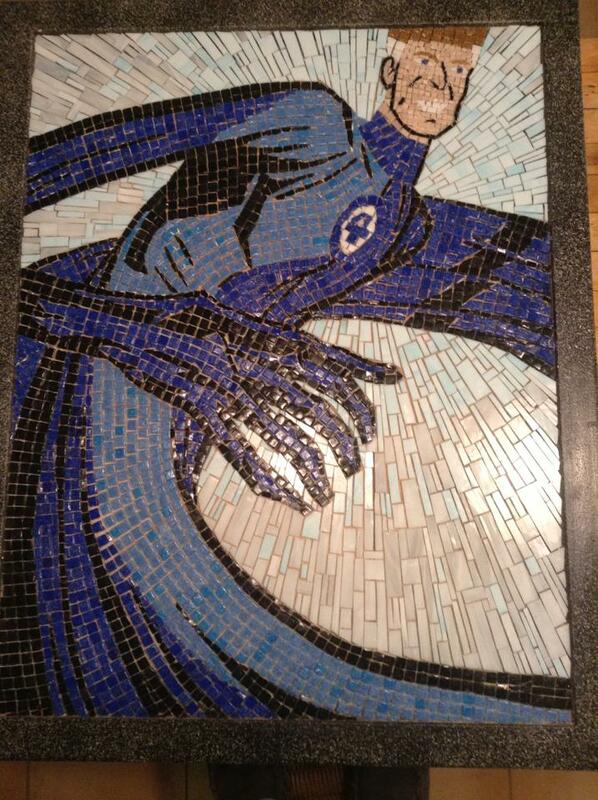 It has not been grouted yet, but all the glass work is completed.